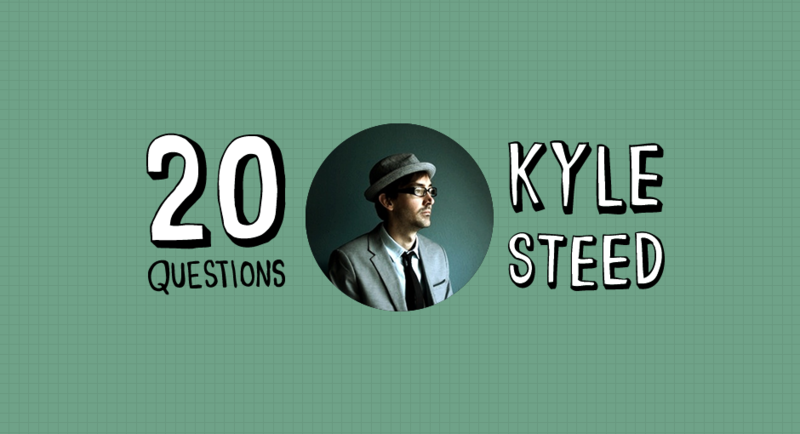 If you have no idea who Kyle Steed is you must be living in a box, on the street, with no Wi-Fi. His style is his own and it shows. He has completed a bunch of personal projects; such as releasing his own font to my personal favorite “52 Profiles“, where he drew a profile of one web designer a week for a year. His most recent project, Steedicons, is a collection of 300+ icons for use just about any where. If that doesn’t ring any bells you may have come across one of Kyle’s Instagram photos that have recently skyrocketed to the top of the popular page. If your still scratching your head wondering who this guy is just take listen to this session of 20 Questions. Oh, and I also want to thank Mr. Steed for creating the header image for the interview, he did a bang up job. If you are listening to this and still have not entered the Steedicons giveaway head on over and enter. His website is much better than it used to be. He used to have his name Kyle in huge letters across the top. It was atrocious. Now it seems much more friendly and representative of an illustrator’s site.